Beta Pinene can be easily absorbed through the pulmonary system, skin and the intestine. It is a good intermediate and odor agent, used to make air care, cleaning and furnishing care, laundry and dishwashing, personal care, plastic and rubber products etc. But absorption of large amount of beta pinene may result in kidney damage, delirium and ataxia. Inhalation of the compound may cause dizziness, nervous disturbances, chest pain, bronchitis, and nephritis. Both Alpha Pinene and Beta pinene are produced from geranyl pyrophosphate through cyclisation of linaloyl pyrophosphate followed by loss of a proton from carbocation equivalent. It is isolated from American turpentine also by conversion from alpha-pinene. It can also be extracted through fractional distillation of turpentine, isomerization of alpha-pinene. Beta pinene can be derived from sulfate wood turpentine. It is produced in large quantities by distillation of turpentine oils. 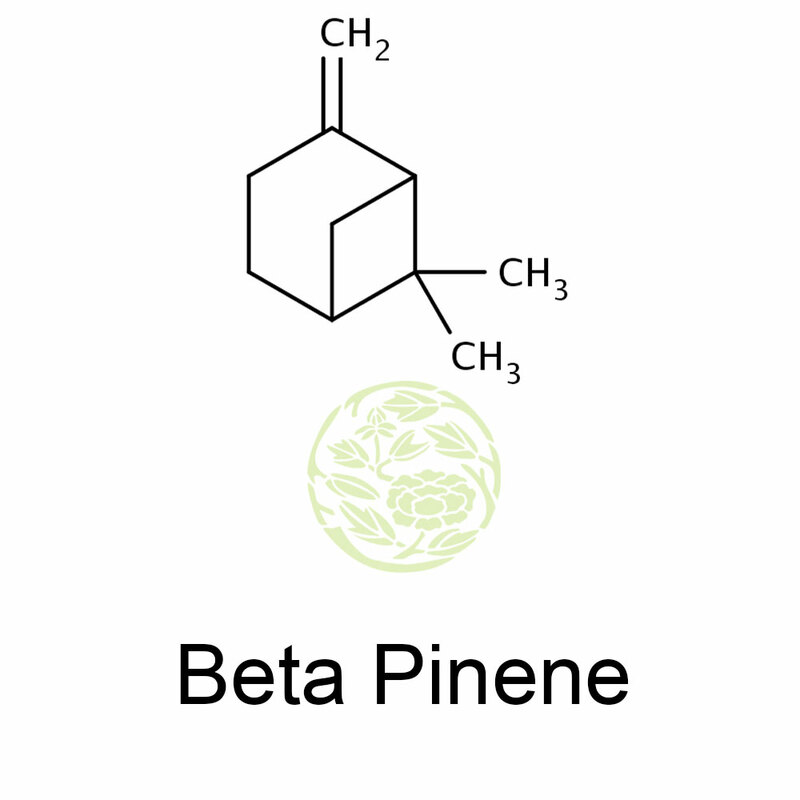 Beta pinene is colorless mobile liquid with dry woody and resinous piney aroma. It is insoluble in water and soluble in oils and alcohol. Beta pinene is a monoterpene which is an organic found in plants. Alpha pinene and beta pinene are the two isomers of pinene. 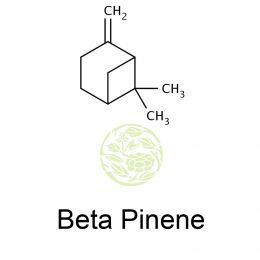 Beta pinene is a compound found abundantly in forest trees and if oxidized in air the allylic products of the pinocarveol and myrtenol family reigns. Many of the plants from different botanical families like cuminum cyminum, humulus lupulus, pinus pinaster, clausena anisata etc contain this compound. Alpha pinene is a compound widely seen terpenoid in nature and this compound is highly repellant to insects. It is found in conifers and many other plants. Pinene is a major element of sideritis (ironwort oil) and salvia (sage oil). Resin from terebinth or turpentine tree is rich in pinene. The pine nuts found in pine trees contains pinene, so also cannabisalso. The makrut lime fruit peel contains an essential oil and its main components are limonene and beta pinene. Some oxidation of pinene with some catalyst gives many compounds for perfumes like artificial odorants. Beta pinene is found in softwood trees like spruce and is a natural hydrocarbon emission product. Beta pinene will exist as a vapor in the atmosphere. The vapor bases beta pinene will be degraded in the atmosphere by reaction with ozone and it does not contain chromophores that absorb the wavelength and is not susceptible to direct photolysis by sunlight. Many of the plant species release a huge quantity of volatile organic substances to the atmosphere like alpha-pinene, beta pinene, and limonene and hemiterpene isoprene. Beta pinene is also found in many fresh wild mushroom varieties. It is one of the flavor compounds found in tea made from fresh pine sprouts or pine needles harvested from Korean red pine trees.